ARE THEY MEETING TODAY'S BUSINESS CHALLENGES? Neurology has evolved from a contemplative and diagnostic discipline relying largely on individual clinical acumen into a complex, technology-dependent, treatment-oriented, and multi-branched medical subspecialty. Moreover, neurologists in practice today require more than just medical skills and knowledge to survive in an environment of managed care, increasing expenses, decreasing revenues, and high malpractice exposure. Traditional Socratic training program curriculums may no longer provide adequate preparation for the variety of challenges that face young physicians ready to embark on professional careers. How have neurology residency programs in the US adapted to these changes, and what are they doing to keep clinical neurology viable? Although the Accreditation Council for Graduate Medical Education (ACGME) addressed such concerns with a redesign of training requirements a few years ago when it created six broad competency areas, the response has been variable. For neurology training programs, already swamped with regulatory paperwork, the additional administrative responsibility is not minor. From interviews with residency program directors around the country, it is apparent that there are diverse philosophies as to how best fulfill this burden and to address the needs of neurologists-in-training as they emerge into the real world of 21st century medicine. Joel C. Morgenlander, MD, Associate Professor of Medicine and Chief of Clinical Services of the Division of Neurology at Duke University School of Medicine in Durham, NC, and Director of Residency Training for the past 11 years, has revamped his approach to establish comprehensive practice readiness as the pervasive objective. His curriculum includes discussions of coding issues including E/M, CPT, modifiers, and ICD-9; front-end processes including scheduling, insurance verification, authorization, and pre-certification; and back-end processes such as carrier policies, bundling, medical necessity, claim adjudication, denials management, and managed care contracting. “The residents' understanding of some of these concepts is basic but builds throughout training,” said Dr. Morgenlander. He also invites outside experts to discuss issues such as how to evaluate a practice opportunity, what to consider in purchasing health, life, and disability insurance policies, and how to handle risk management issues. The regulation has also resulted in an increased level of supervision of the residents, Dr. Corboy said. The benefits include enhanced care for the patient, but may have caused unintended consequences such as delaying independent decision-making by the residents and increasing the workload of the attending and supervising physicians. “On the inpatient services now, the residents have maximum work hours and restricted call; the attendings do not,” Dr. Corboy continued. “In essence, we have become the continuity of care.” Dr. Corboy also noted that inpatient training has become more intense in the sense that inpatients are sicker – in part due to who gets admitted to the hospital – and because there are more interventions on sicker people with their attendant neurological complications. But Steven L. Galetta, MD, Director of the Division of Neuro-Ophthalmology of the Department of Neurology, and Director of Neurological Training at the University of Pennsylvania Medical Center in Philadelphia since 1989, noted that 75 to 80 percent of University of Pennsylvania-trained neurologists enter academics. “Residents realize that there has been a closing of the gap in salaries in recent years and that they will be slightly more sheltered from the malpractice crisis in academic settings,” said Dr. Galetta, recipient of the 2004 Distinguished Neurology Teacher Award from the American Neurological Association. As for preparing residents for the troubled med-mal environment, most programs do not offer or are just beginning to consider formal preparation. “At Wake Forest, risk management is provided to residents as a common curriculum during the last week of June each year before they begin residency training,” said Peter D. Donofrio, MD, Professor and Interim Chair of Neurology at Wake Forest University School of Medicine. Next month's column will focus on curricular changes in neurology training programs. 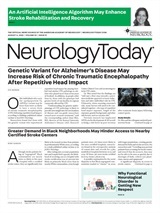 NEUROLOGY RESIDENCY PROGRAMS: ARE THEY MEETING TODAY'S BUSINESS CHALLENGES?